Pink Cigarette and Lighter Holder for sale. 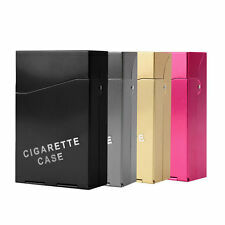 Then our Smartphone cigarette holder is the ideal solution.GADGET. Here you?ll find the latest and greatest products. In other words ?. When you order from us, you?ll always get a great product at a great price. Cigarette Holder. England Flag Design. AB31-AB38, AB40-AB56, IV1-IV28, IV30-IV32, IV36-IV40, IV52-IV54, IV63, KW1-KW14, PA21-PA38, PH4-PH41, PH49-PH50, BT (Northern Ireland) HS, IV41-IV49, IV51, IV55-IV56, KA27-KA28, KW15-KW17, PA20, PA41-PA49, PA60-PA78, PH42-PH44,PO, ZE, IM (Isle Or Man) Channel Isles. Length of holder approx 11 cms. 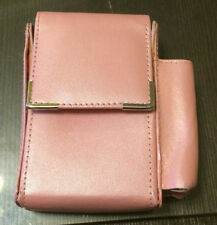 Moroccan leather cigarette holder PINK. Measurements 11cm x 6cm. Handmade items are never 100% perfect. Some imperfectionsmay be present. Mascot ASB engraved on. 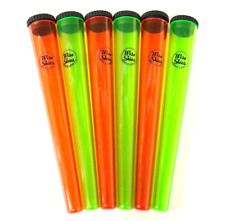 Size(approx): Width:79mm. Height: 9mm. Description: 100% brand new and high quality. It keeps your tobacco fresh and the accoutrements. Perfect size,you can put in pocket or other pipe pouch. Material:PU leather Color:Random Color，please understand ！！ Dimension:Approx.152 x 80mm/5.98 x 3. 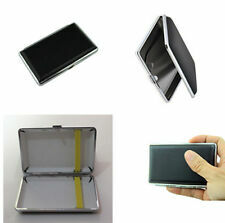 A lovely table or desk top Cigarette case holder. Circa 1950's. Engine turned case. The button on the top is pressed and the case opens to reveal the 2 sided cigarette case. Fixed to a black glass type base. Moroccan leather cigarette holder PURPLE. Measurements 11cm x 6cm. Handmade items are never 100% perfect. Some imperfectionsmay be present. Moroccan leather cigarette holder ORANGE. Measurements 11cm x 6cm. Handmade items are never 100% perfect. Some imperfectionsmay be present. VINTAGE ANTIQUE ROLLS-ROYCE "SILVERGHOST 1906 BIS 1926 CIGARETTE HOLDER Condition is Used. Dispatched with Royal Mail 2nd Class. UK 1Pcs Soft Silicone Ring Finger Smoking Cigarette Holder.READ DESCRIPTION!!! Please message me with the colour you will like Black or Red. 1Pcs Soft Silicone Ring Finger Smoking Cigarette Holder.READ DESCRIPTION!!!. Condition is New. Dispatched with Royal Mail 2nd Class. Material: Stainless steel PU. A DELUXE Cigarette Case. 1 x Card case. Due to the difference between different monitors, the picture may not reflect the actual color of the item. Quantity: 1 pc. Moroccan leather cigarette holder NAVY BLUE. Measurements 11cm x 6cm. Handmade items are never 100% perfect. Some imperfectionsmay be present. Moroccan leather cigarette holder DARK BROWN. Measurements 11cm x 6cm. Handmade items are never 100% perfect. Some imperfectionsmay be present. Nappa Leather Purse. Colour: Black. Excellent overall condition although a crack to the top but it doesn’t weaken the piece. 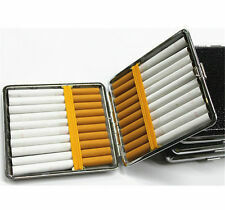 Cigarette Holders have room for 20 regular size cigarettes. 1 X Pocket Cigarette Box. Internal dividers strap protect cigarette from dropping out. 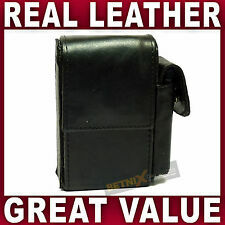 Size: 9.6cm x6.2cm x 1.8cm. Perfect for yourself use or as a gift.